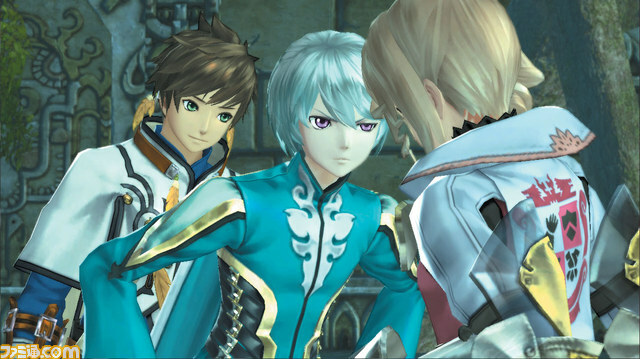 Update: Famitsu have their own article on Mikulio with HQ screenshots here. 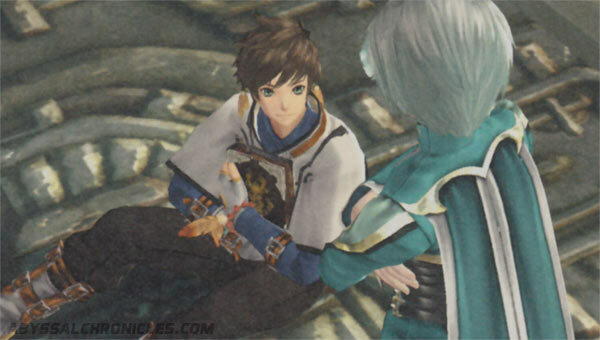 The latest scans of Tales of Zestiria from Famitsu magazine reveal a little bit about the recently revealed character, Mikulio and the ruins that Slay loves to frequent, as well as hints on what seems to be modifiable default costumes for the characters. 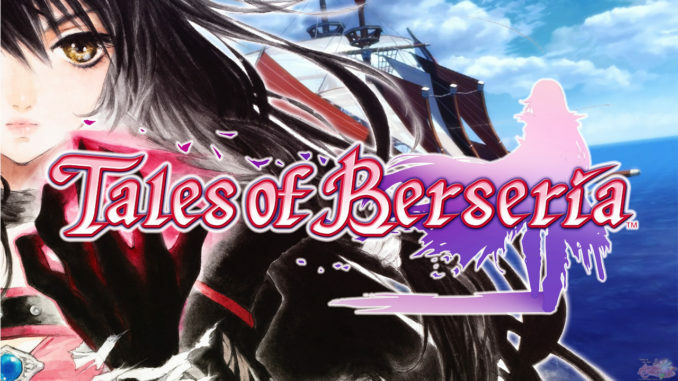 As mentioned in previous posts, Slay lives within the sanctuary said in the legends where both humans and the Divine (Tenzoku) can live together, the Divine Forest. Being raised in close proximity with the Divine, who normally aren't supposed to be seen or touched by normal humans, Slay had been regarding them normally, as if they're the same as him, throughout his life. 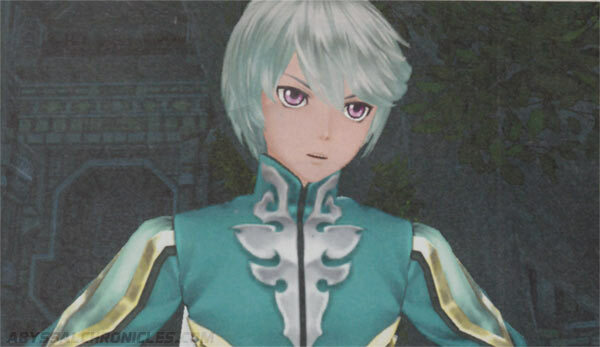 Mikulio is, as mentioned, one of the Divine. He possesses power called the "Divine Artes" (rough translation, I'll get back to this), and his element is mainly the water. 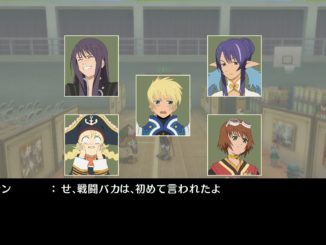 It is mentioned that Alicia is actually the first human Mikulio has encountered besides Slay, further hinting that indeed, Slay may have been living with the Divine this entire time. Both Slay and Mikulio were raised together ever since they were just infants. 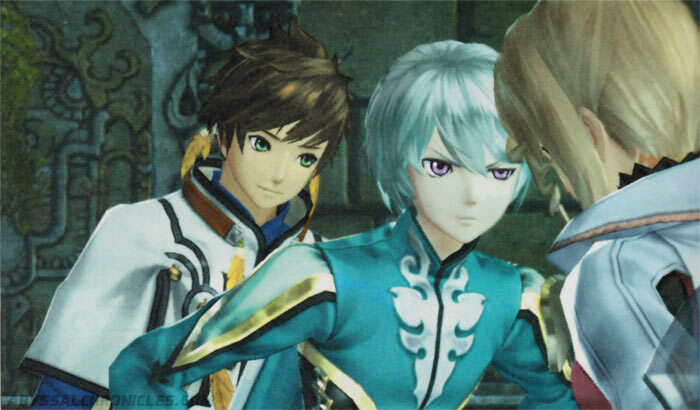 Though of different races, Slay never really noticed they were different because his high level of Spirit Powers allows him to talk to Mikulio normally unlike normal humans. The ruins that has sparked Slay's interest is being called the Mabinogio Ruins. Though from the ancient times, this splendid ruin has managed to keep its greatness intact. 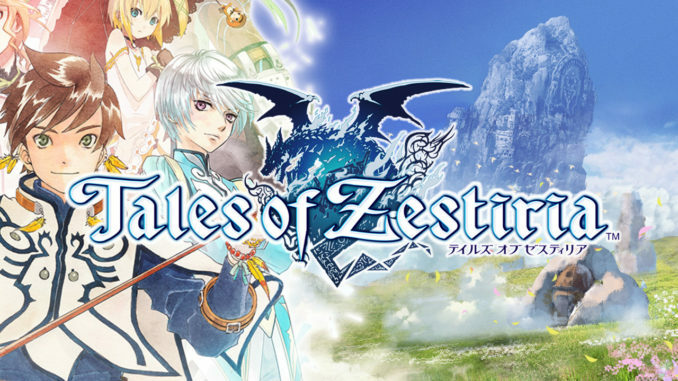 A part of the village within the Divine Forest is connected to the Ruins, and hence Slay and Mikulio have been searching around the place ever since they were kids. The ruins are surrounded by various greenery, with the interior adorned with mosaic-like patterns. 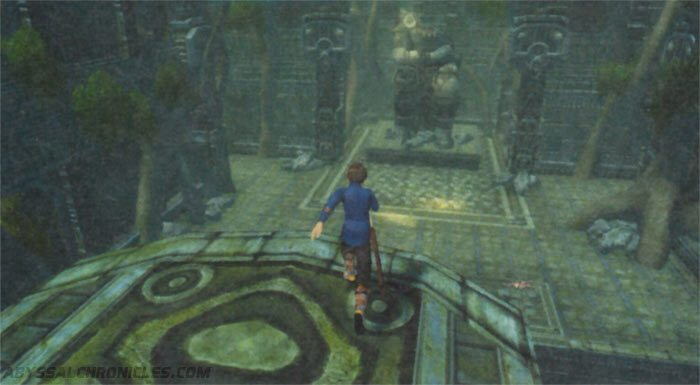 There is a huge statue or image of sorts within the ruins - is it of a God? Or is it something that is supposed to repel intruders? 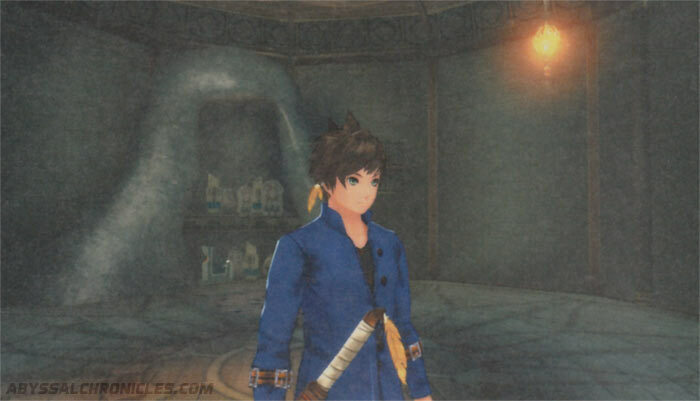 The latter scan shows Slay without his really big cape, hinting that even the default costumes may be customizable or may be composed of attachments like in Xillia and Xillia 2, where some DLC costumes included a few attachments in the set. 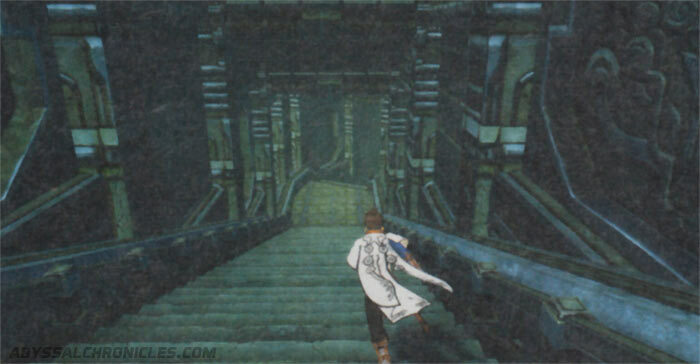 It also mentions in the scan that Slay may have more clothes that he can wear. Hopefully they're not talking about DLC. And above is Slay's simple home in the village. 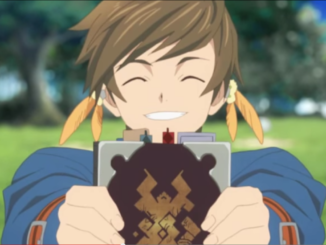 For more information about the lore in Tales of Zestiria, please visit our previous post here.